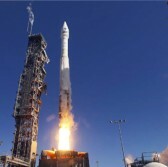 Orbital ATK aims to launch a company-built Cygnus spacecraft for its sixth cargo resupply mission to the International Space Station by Aug. 22 under the Commercial Resupply Services contract with NASA. NASA said Friday that Cygnus will lift off from Pad-0A of the Mid-Atlantic Regional Spaceport at the agency’s Wallops Flight Facility in Virginia onboard an Antares rocket. The spacecraft is built to deliver hardware and supplies to the ISS Expedition 48 and 49 crew members, the agency noted. Orbital ATK and Space Exploration Technologies were awarded separate contract modifications in March last year to help NASA transport approximately 44,000 pounds of provisions, food, clothes, experiments and spare parts to the orbiting laboratory in 2017.